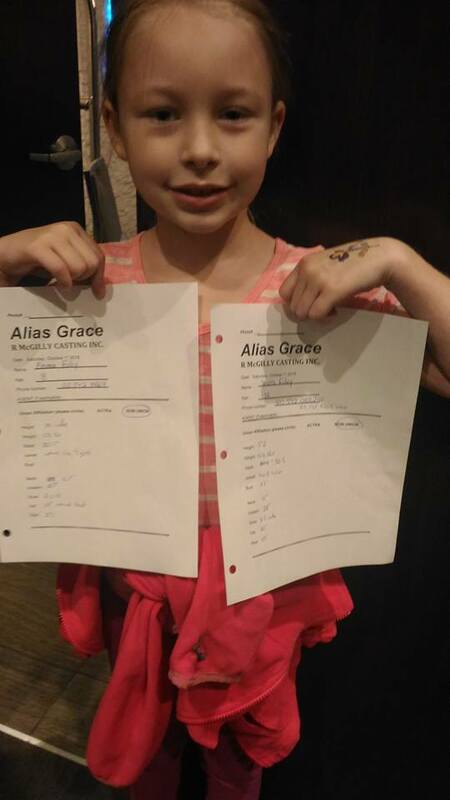 Last weekend Emma and I attended our first casting call together. A casting company from Toronto was looking for background folk for a few scenes in a mini series they’re putting together. If I can remember correctly they were looking for prisoners (male and female), prison guards, wardens and affluent Kingston folk. This casting call was open, which means you just show up and hope for the best! 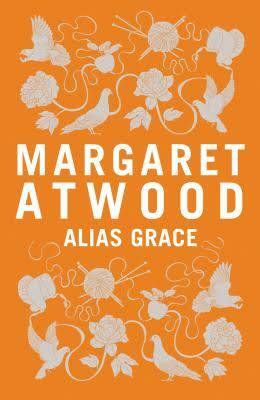 The mini series is Alias Grace, based on the Margaret Atwood novel. I have yet to read this book, but it has just jumped up my list of to-reads! I don’t know the story or anything about this book, but they had a copy of it with the paperwork we had to fill out. The book was pretty big, but didn’t really get a chance to look at it. It was crowded at our first casting call! Originally the call was to be at the Four Points by Sheraton. We were familiar with this hotel as we went to a wedding there just a few weekends ago. The call time was 11am, so we were at the hotel at about 10 to 11. We wandered all through the ballroom floor, as well as the next floor up, with all the boardrooms. Nothing was going on. Finally I asked the girl at the desk and she told me they had moved it to the Delta hotel, 2 blocks away. Needless to say we were not as early as I’d hoped, and when we got there there were already 30 people or so in the tiny room. We had never been to an open casting call before (and I wasn’t convinced they’d be interested in Emma as it hadn’t specifically said roles for kids) so we just got into the perceived line that was there when we walked in the door. The nice people there waiting suggested we needed to fill out some paperwork before we stood in the line. I’m thankful they told us, otherwise we would have been there a lot longer! So we jumped to the front, grabbed some papers, and started filling them out. Luckily they had tape measures (the sewing ones, that are pliable) so we could get all our particulars down on these sheets. They wanted hat size, jacket size, inseam (Emma’s turned out to be 21.5″ and mine 27″ – as if I needed a reminder that she’ll be taller than me any day now!) as well as all the regular height and weight measurements. While we were off to the side measuring ourselves the man taking the photos came over to us and suggested, in no uncertain terms, that Emma should be sure to fill out a paper as well. I took that as a good omen and was glad I thought to bring her with me! Once we were all filled out we did get back into that crazy lineup. After the wait – Emma was very patient – we got up to the lady who was chatting everyone up. She wanted to know if we had any previous experience. I told her Emma had done a course with Mode Elle, as well as a Theatre Kingston camp. And then I got to tell her I’m an “extra” actor with 2 “shows” under my belt. After she jotted all that down we moved over to the lineup for photos. We fluffed out Emma’s hair – she had worn it in a ponytail – and waited in this slow line to get our pictures taken. After the photos the photographer man told the actual casting woman “The camera loves this one!” Of course he was talking about Emma, not me. The next woman (after the casting director) took down our details – availability and emails – and told us good luck and they’ll be in touch. So now we wait. The cool thing about this “extra” work is that it’s paid. I have no idea how much, but I’m prepared to take time off work to be a part of this – for myself and/or for Emma. It’s 13 hour days for the adults and 9 hour days for the kids. But I think it could be a lot of fun! Do you have any tips for child actors? Or ways to ace these open casting calls? Please share any hints you know in the comments! Stay tuned to hear more about this adventure. Our first casting call may lead to our first paid acting gig! If you’re interested in following Emma’s acting, check out her Facebook page. I do the updating there as well. Follow my blog by signing up in the sidebar with your email address. I never send out spam! *Edit – Nov 8th: Emma did not get a part in this mini series, but I did! They decided not to cast children after all. Of course Emma was quite saddened by the news. I, on the other hand, was elated to hear I was cast as a female inmate background performer. I had one day yesterday and I go again tomorrow, and there’s potential for Friday as well. It’s a long day but a lot of fun. Unfortunately I can’t share any photos yet, but I hope to be able to create a post in the future when the mini series is airing! Thanks for the comment Lisa – I’ll be sure to keep everyone updated! Way to go. I bet that was an interesting experience for Emma. Good luck with the call backs. I think it was an interesting experience for both of us! I’ll be sure to post if we get callbacks!! How exciting for you both! Sending lots of good luck for the call backs! Ooh, a Jason Statham film – I’d be there in a heartbeat! Thanks for your kind thoughts – I’ll be sure to let everyone know when we hear anything back! Wow. We experienced something similar! The call I received was for male prisoners; My daughter was with me since we were in between her dancing classes, so she tagged along even though she wasn’t expecting to sign up. They gave her the sheet too, and said “fil this in…we’ll find something for her” Totally upstaged by my daughter. Lol! We haven’t received a call back so far though (as of Oct 15); I might not be “prisonery” enough. Lol. That said, Crimson Peak took awhile to callback, so finger still crossed!